State auditor warns of counterfeit money in southern N.M. 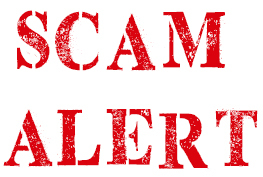 The Office of the State Auditor has issued a risk advisory alerting the public, business owners, and governmental agencies to counterfeit money potentially entering circulation. The OSA strongly advises awareness of questionable bills and urges business owners to review their internal controls for cash handling and acceptance. Notice of counterfeit money targeting communities in southern New Mexico, particularly Alamogordo, has been received by the OSA. Law enforcement reports seeing three types of counterfeit bills, appearing to be of low quality and easily noticeable. Individuals seeking to pass counterfeit bills typically attempt to shield the money by intermingling it with stacks of real bills and presenting it in either crisp, clean condition or heavily crumpled condition. According to the Alamogordo Police Department, the bills have been presented at various retailers, including but not limited to dollar stores, nail salons, restaurants, gas stations, grocery stores, and small convenience stores. Individuals, business owners, and agencies are strongly urged to pay special attention to cash transactions and report any suspected counterfeit bills immediately to the police.